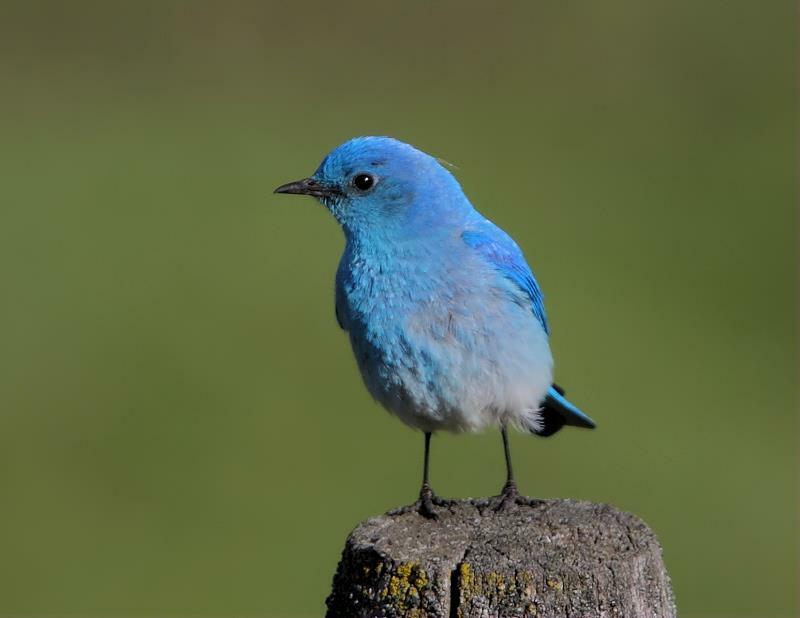 Swallows and bluebirds — like this Western Bluebird — are among the earliest northbound migrants to arrive, heralding spring a month before the equinox. Both species will nest only in cavities, such as old woodpecker holes or man-made nestboxes. But the supply of specialized nest sites is limited, and competition is intense. By arriving early, swallows and bluebirds improve their chances of securing unoccupied cavities. To learn more about building nestboxes, see Related Resources below. 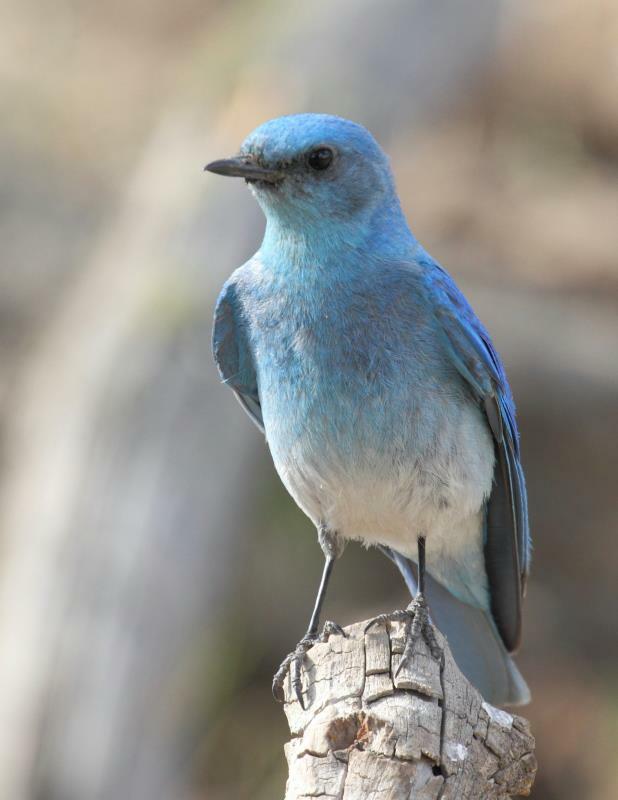 Tree Swallows and all three North American bluebird species are among the earliest northbound migrants to arrive, heralding spring a month before the equinox. Both species will nest only in cavities, such as old woodpecker holes or man-made nest-boxes. The supply of such specialized nest sites is limited. Competition is intense. 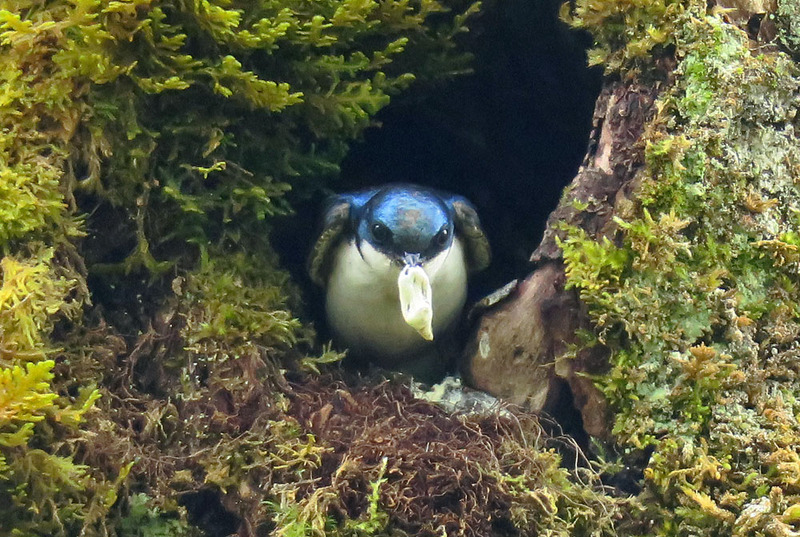 By arriving so early, Tree Swallows and bluebirds improve their chances of finding unoccupied cavities – and they may fiercely guard a nest site until April, before actually nesting. 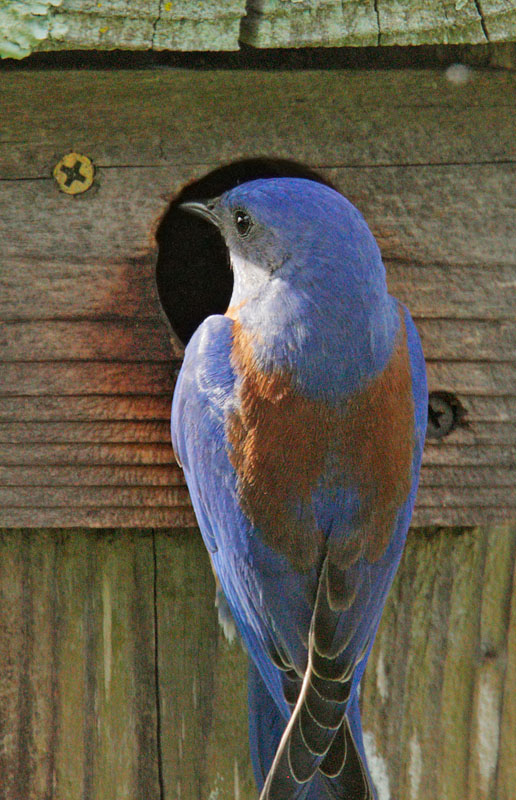 Both species benefit greatly from nest-box programs. But it is crucial to put up only nest-boxes with very specific hole-sizes that encourage these flashy blue migrants but deter non-native starlings and House Sparrows. 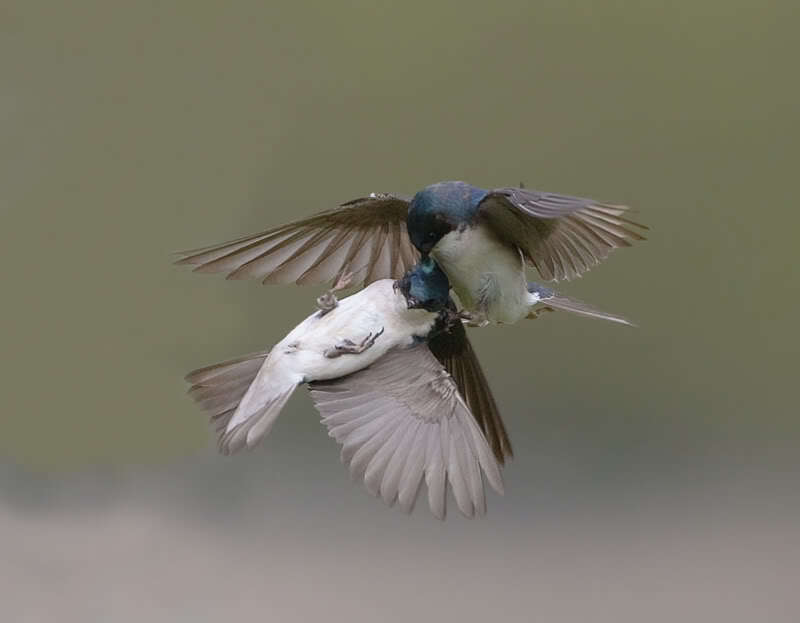 To learn about how to provide just the right home for Tree Swallows and bluebirds, come to our website, BirdNote.org. Song of the birds provided by The Macaulay Library of Natural Sounds at the Cornell Lab of Ornithology, Ithaca, New York. Tree Swallow recorded by G.F. Budney. Eastern Bluebird recorded by W.L. Hershberger. Great tips about maintaining a birdhouse!